The CData JDBC Driver for Salesforce integrates connectivity to live Salesforce data in IDEs that support JDBC. The JDBC standard enables you to use built-in data access wizards and other tools supporting rapid development. 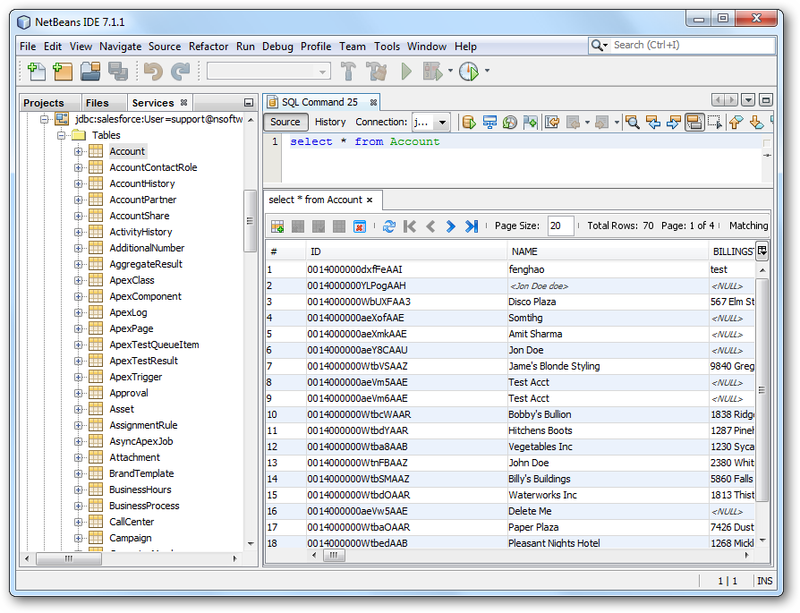 This article shows how to connect to Salesforce data in NetBeans. You will create a connection and edit and save Salesforce data in the Table Editor. 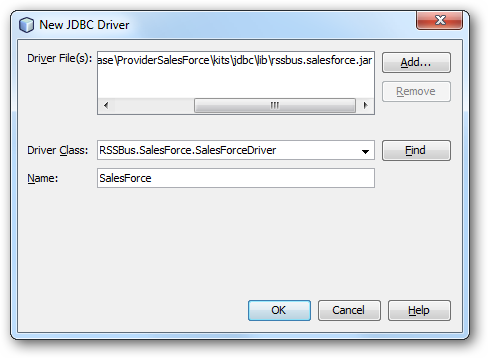 Driver File(s): Click Add and, in the file explorer dialog that appears, select the cdata.jdbc.salesforce.jar file. The driver JAR is located in the lib subfolder of the installation directory. Driver Class: Click Find to search for the driver class inside the JAR. Then select cdata.jdbc.salesforce.SalesforceDriver from the menu. Name: Enter the name for the driver. In the Service window, right-click the Database node and click New Connection. Driver Name: In the menu, select the driver. User Name: Enter the username. This can also be defined in the JDBC URL. Password: Enter the password. This can also be defined in the JDBC URL. 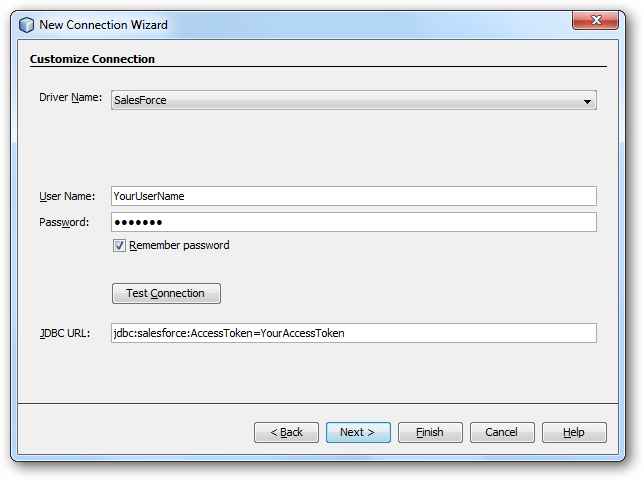 To connect to Salesforce data, right-click the connection in the Database node and click Connect. After the connection is established, you can expand it to discover schema information. To load a table in the Data Views window, right-click the table and then click View Data. You can also insert, update, or delete records in the Data Views window.